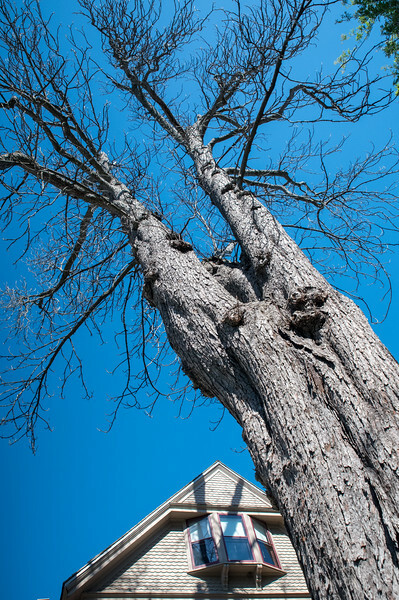 A City Forestry crew removed the street tree from the front of the National Susan B. Anthony Museum and House and preserve the wood on behalf of the Museum. The horse chestnut is about 150 years old and has died, creating a dangerous condition in the neighborhood. Because the tree stood in front of the House at the time Susan B. Anthony lived there, the crew will remove the tree in a manner that preserves the wood for a future re-use by the Museum.